When Christopher Columbus set sail across the Atlantic Ocean there were still people who believed the Earth was flat. Columbus believed he was going to find a faster route to the East Indies. What he really discovered was a new world. It's a reminder that things don't always turn out as planned, but when you step out on an adventure, amazing things can happen. 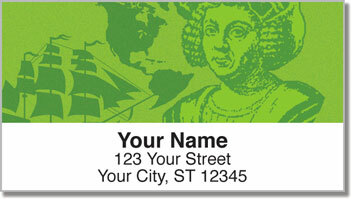 The attractive illustrations on these return address labels celebrate the great explorer's voyages. 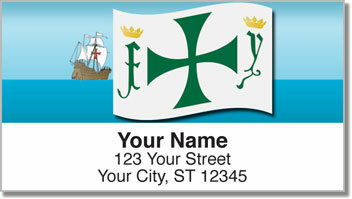 They're an attractive finishing touch for your mail that is also quite convenient. 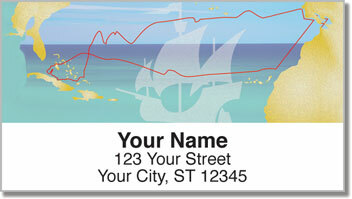 Since these labels are self-adhesive, you just stick them on every envelope. 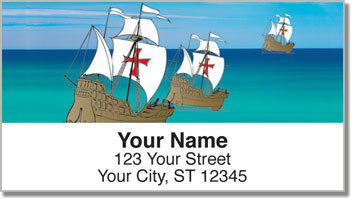 Get your own Christopher Columbus Address Labels right now! You'll also find this historic selection in a set of matching personal checks.